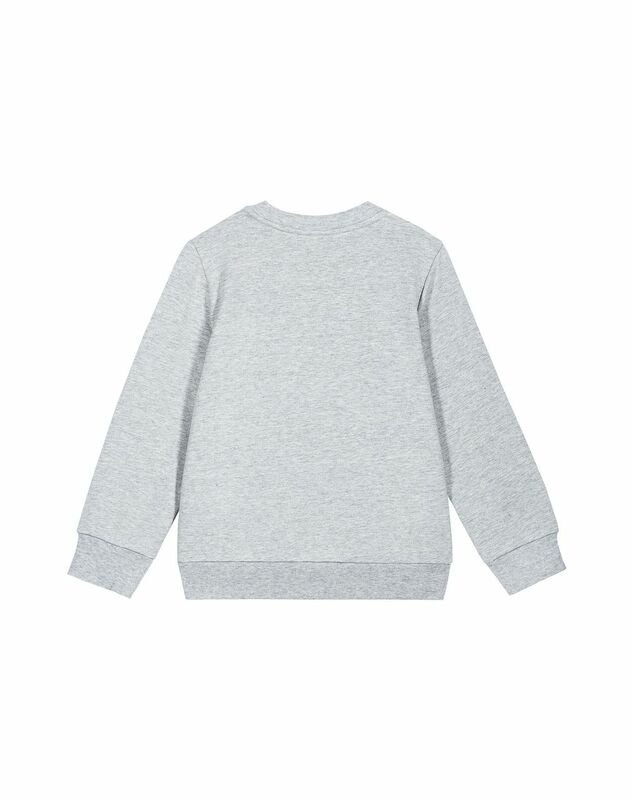 Long-sleeved sweatshirt in gray cotton jersey, fuchsia contrasted exclusive Lanvin patches, crew neck and ribbed hems. 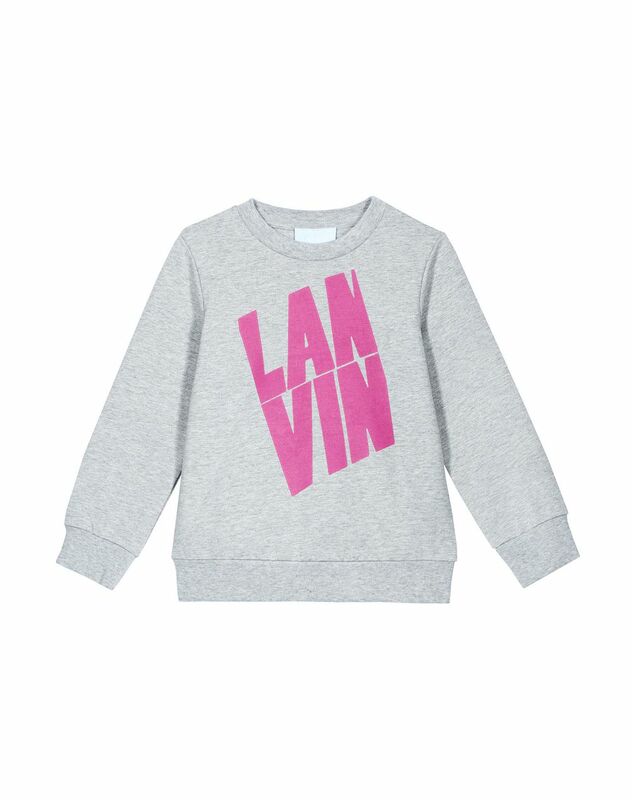 This gray sweatshirt is the latest addition to the collection of Lanvin logo pieces. 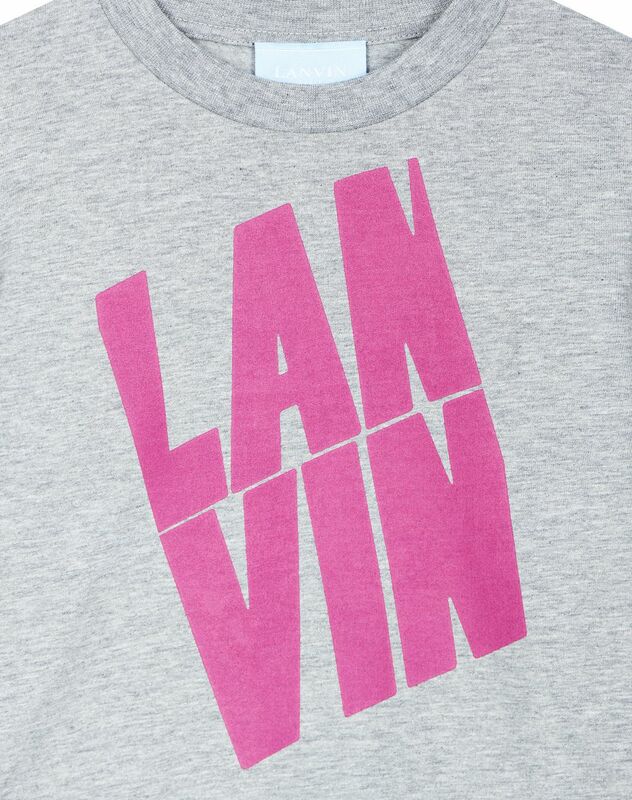 The season’s iconic detail, the lettering offers some on-trend models for this Fall-Winter Collection. This girls T-shirt creates a modern casual look.